His friends are 6, too. But this seemed lost on their mothers as they stared at me. "A bison? As in a buffalo?" The moms were huddled along the back wall of the birthday party — the adult version of standing, arms crossed, by the bleachers while the school dance carries on in the crowded gym. Fewer rulers are used to keep bodies a respectable 12 inches apart, but measurably, more judgment spews from the wallflowers. "We went to Yellowstone, and he really fell in love with them," I said. My son has had a recurring dream since our trip nearly two years ago. He and a bison are running a race. My son gets caught up in a hidden wire trap. The bison chews the wires and frees him. Then the bison picks my son a clover, and they continue the race. To my kindergartener, this is love. Being saved by someone and given a delicious token of affection (and nourishment) is as good a reason to marry as any, he says. I'm not sure I disagree. The moms were not impressed with the dream. "He doesn't want to marry Ellie? I thought all the boys wanted to marry Ellie." "Is this bison he wants to marry a boy bison or a girl bison?" another asked. "I just said my son wants to marry a bison. Does the gender really matter?" I had been warned about the competitiveness of moms — how they compete over when the children walk, talk and ride bikes and when the children annunciate their R's, tie their shoes and learn to read. I didn't think they would compete over whom their children love in kindergarten. In kindergarten, I loved and wanted to marry Mr. Rogers and Super Grover in equal measure. Mr. Rogers, as it turned out, was too old for me and, let's face it, too good for me. Super Grover turned out to be a puppet. I'm unsure of Super Grover's gender identity, but I'm guessing it's somewhere near nonbinary on the spectrum. I was also completely infatuated with Whoopi Goldberg. The mom-on-mom crime runs deep at forced-together social situations, such as birthday parties. I would avoid them altogether if I weren't afraid that never showing up would affect my son's social status — something he still has despite wanting to marry a bison. Shocking, I know. "Does he understand what a marriage is?" the mom of polyamorous Colton scoffed. "Clearly, they will have to adopt." The moms chuckled. I blushed — but not from shame. It was from anger. Why is this a joke? Why is this a thing? Why are we marrying off and asserting the unknown desires of our children before they can even spell the word love — or the word friend? The moms looked at me, awaiting a response. And for some unknown reason, I felt completely compelled to give it to them — as if their overly plucked brows, furrowed in fearful disdain, commanded it from me. I decided to tell them my son's child-rearing plans with his bison love. He'd spoken of it frequently. "As a matter of fact," I said, confident that my rebuttal would wipe the sneers from their faces, "my son wants to marry a bison specifically so he can have half-human, half-bison children. So there." It shut the moms up, but perhaps not in the blaze of glory I had imagined when I began my retort. There was a pause, and then came a follow-up question. "What does that even look like?" a mom asked. "My son says his babies will look like centaurs, but with bison bodies instead of horse. They will have bison tufts of hair and horns on their human heads. And they will be adorable!" I said it with the conviction of a proud grandma. And I felt it, too. I've never been much of a wallflower anyhow. The moms could now tell I'm not one of them. "Maybe your son is too young to understand love," one said, trying to exit the conversation. "I disagree," I said. "He understands that first and foremost, it's supposed to be magical." 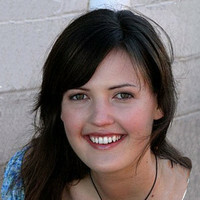 Katiedid Langrock is author of the book "Stop Farting in the Pyramids," available at http://www.creators.com/books/stop-farting-in-the-pyramids. Like Katiedid Langrock on Facebook, at http://www.facebook.com/katiedidhumor. To find out more about her and read features by other Creators Syndicate writers and cartoonists, visit the Creators Syndicate webpage at www.creators.com.